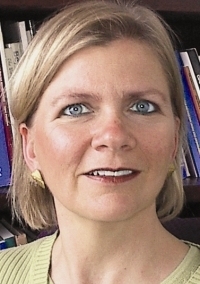 Joy Pritts, a lawyer, privacy researcher and Georgetown University faculty member, has been named as the first chief privacy officer to HHS' Office of the National Coordinator for Health Information Technology, a position created under the American Recovery and Reinvestment Act of 2009, also known as the stimulus law. Pritts is an assistant research professor at Georgetown's Health Policy Institute and the author of a 2007 research report in which she concluded that the U.S. lags in privacy practices regarding patient control over the release of their medical information compared with Canada, the Netherlands and the U.K. More recently, Pritts conducted an HHS-funded study of state privacy laws affecting the movement of electronic laboratory results and their implications for health information exchange. Pritts also has served as a member of the technical advisory panel for the federally funded multistate Health Information Security and Privacy Collaborative and as a board member of the National Governors Association's State Alliance for e-Health. Pritts received her law degree from Case Western Reserve University School of Law, where she was an associate editor of the law review, and her bachelor's degree from Oberlin College. She started her new position Tuesday. The stimulus law, which was signed by President Barack Obama on Feb. 18, 2009, required the HHS secretary to appoint a chief privacy officer within one year.